“Goldman symbolizes master of the universe of financial manipulation (Reuters April 16, 2011) It’s been involved in nearly all financial scandals since the 19th century… In 2002, it was largely responsible for Greece’s debt problems. It involved circumventing Eurozone rules in return for mortgaging assets. 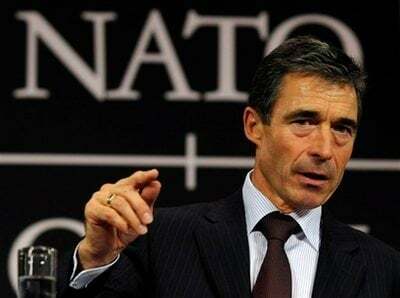 The leaders of the “Too big to Jail Banks” not only mingle behind closed doors together with Central Bank governors and the Managing Director of the IMF Christine Lagarde, they also exchange pointed views on “War and Economy” with the West’s top military brass, as well as the head of Britain’s Secret Service and NATO Secretary General Anders Fog Rasmussen. Before the 2008 meltdown, Goldman Sachs made enormous profits out of products it sold knowing it was “crap”. The Department of Justice functions to discipline the other guy. Goldman Sachs is the hub of the financial pyramid. When partners are installed on the Federal Reserve or are appointed to Treasury, the money elite contain their grip on their control of the fiat money system. This model dominated by bureaucratic technocrats, runs roughshod over the regulators. The mere notion that any Attorney General will enforce statues is naive, when every administration is bought and paid for by the same moneychangers. “The Justice Department said that it had conducted an “exhaustive investigation” into allegations of fraud during the crisis from 2008 to 2009. The probe reportedly uncovered email conversations between employees of Goldman Sachs branding mortgage securities sold to investors as “junk” and “crap”. 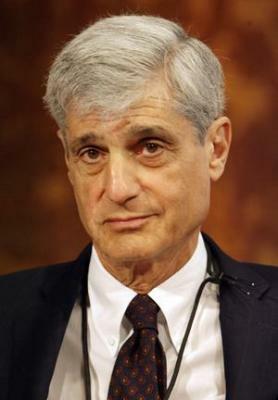 It is worth noting the presence of two major personalities responsible for the 2008 financial meltdown, Robert Rubin and Lawrence Summers, both part of the “Wall Street-Washington consensus”. Lawrence Summers, another fan of the IMF-World Bank shock therapy, also played his part in the 2008 financial crash. What these various examples portray is the revolving doors between the politicians and banksters. The banking industry is criminalized. But at the same time the judicial system which turns a blind eye to financial fraud is also criminalized. It comes as no surprise that the derivatives bubble is now twenty percent bigger than it was before the 2008 collapse. And guess which banks have “experienced tremendous growth in this area in recent years”? Goldman Sachs and Citibank. Also on the Bilderberg guest list this year are very influential figures from the financial press, Martin H. Wolf, The Financial Times’ Chief Economics Commentator and John Micklethwait Editor-in-Chief of The Economist. While they are not allowed to report on what happens behind closed doors, they will no doubt play a key role in sustaining the legitimacy of the Bilderberg elites and their destructive neoliberal agenda. But we might wonder: how could the elite exist without “dipping into taxpayers pockets for private beneficiarie(s)?” The 2008 global economic crisis is probably the most glaring example of this now very well-known scheme: socializing debt and privatizing profits, using taxpayer money to bailout the criminal banks. Is it a “conspiracy” when financial fraudsters meet behind closed mingling with politicians, oil execs and NATO military strategists? 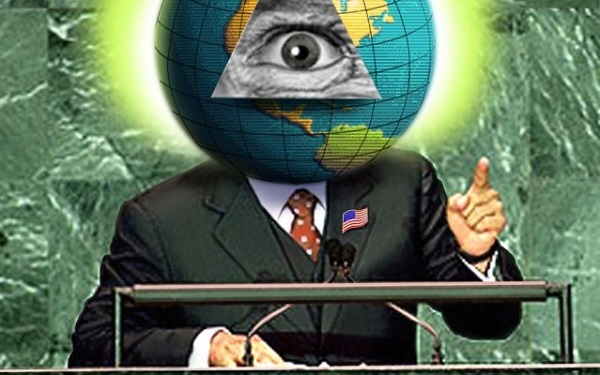 Does Bilderberg bear a responsibility for the 2008 crisis? This year, the only member “responsible” for hospitality costs is Ulrik Federspiel, former Foreign Minister (1991-93, 2005-09) and Danish Ambassador to the United States of America (2000-2005). He’s now Haldor Topsøe’s Executive Vice President and Chief Strategy Officer. Haldor Topsøe is a company specialized in catalysts used in various industries and which won the 2014 World XTL award, “given annually to a company that has made an outstanding contribution” to the oil, power and gas industry. This award is given by the CWC Group “world expert in the oil and gas, power and investment sectors, with particular expertise in emerging markets.” It is worth noting that their sponsors include, among others, Shell and BP, two companies which will attend this year’s conference. It’s a small world. It is hard to imagine how much this kind of event for kings and queens, world state officials and business leaders can cost, but it is very unlikely that Mr. Federspiel will be himself paying the bill for a four day stay of over 140 elites in a five star hotel under high safety and surveillance. Where will he get the money? Will his company or the Danish government be paying the costs? We don’t know. But the Danes will most likely and unwillingly be paying part of the bill collectively, at least for the security apparatus of the meeting. This is not a public meeting. The media is not even allowed to report on it. The security operation surrounding the secret Bilderberg meeting in Watford, England, last week cost a whopping £1 million according to police, and British taxpayers are set to foot at least half the bill. The irony is that, each and every year, a police security apparatus whose mandate is to protect citizens “against crooks and criminals” is being deployed to ensure the security of the Bilderberg elites, i.e., using public funds to “protect crooks and criminals against citizens”. War criminal Henry Kissinger, architect of the 1973 Chilean coup that put Pinochet in power, the man “who oversaw the slaughter in Vietnam, Cambodia and Laos” leading to millions of civilian deaths, will also be at the Marriott this weekend, to “foster dialogue”. Former CIA Director and US Forces Commander David H. Petraeus, another notable war criminal, who knowingly used drones to bomb Afghan civilians at funerals and civilian rescuers, will be among the distinguished guests. In a bitter irony, Petraeus, “who now works at the Manhattan-based private equity firm Kohlberg Kravis Roberts (KKR)” specialized in leveraged buyouts is now developing ties with the shale gas industry. The list of participants clearly indicates that war and the economy will be key topics discussed by fraudulent bankers and corrupt politicians who are above the law and who have little concern for the rights of ordinary people. It is scary to say the least. But for the mainstream media, very influential and powerful criminals meeting for 4 days in a 5 star hotel and vowing secrecy about their discussions does not raise an eye lid. If you think they are meeting for a purpose that might have a significant impact on world politics and the global economy, you’re just a nutcase.